There are many benefits of using cat sitting services and working with a professional cat sitter. This article lists several reasons and examples so if you have a kitty or two, read on. You just might find some helpful information here! A few of the benefits of cat sitting versus kenneling include comfort at home, companionship and on-demand kitty cuddles if they want. Cats are creatures of habit. They like to lay in the same spot, usually in a window sill or some comfy piece of furniture. They like their litter box where it is. Move it and you just might get a ‘protest pee’ somewhere in your house. They know which window to look out of to see the birds, squirrels and other critters outside. If you work with a professional cat sitter or pet sitter, your cat will stay home and won’t need to be taken anywhere. You could hire a professional cat sitter. Now all three may good choices but we recommend you take into consideration the well-being of your cat first and foremost. What will make your kitty the most comfortable? How can you help your kitty stay calm and not stress out? 1. There’s no need for last-minute shots. We encourage pet parents to keep their pets updated on vaccinations and flea prevention but it’s not a requirement with us. Most boarding facilities and veterinarians require that all pets have current vaccinations before they agree to keep her. At face value requiring these vaccinations seem fine but what if your cat is 17 years old? Cat owners with senior kitties often don’t want to flood their body with the chemicals and vaccines; they’re doing good by keeping them alive! Say you’re leaving for your trip on Friday night and you drop your cat off at the vet earlier in the day. The vet gives her the required shots and you’re heading off to start your vacation. Cats can have reactions to vaccinations, flea medicine or allergies immediately, other times it could take days. If your kitty has a reaction to the shots while she’s at the vet, she’s in the right place. However, if you hired a professional cat sitter or pet sitter, she wouldn’t have to get re-vaccinated prior to us starting services. 2. Your cat doesn’t need flea medicine. What do we mean by that? As mentioned above, many vets and boarding facilities REQUIRE flea treatments prior to being boarded at their facility. Hopefully your cat isn’t suffering from a flea infestation and if she is, we do recommend you take her to a veterinarian quickly. Severe flea infestations can cause allergies, weight loss, severe itching and anemia. 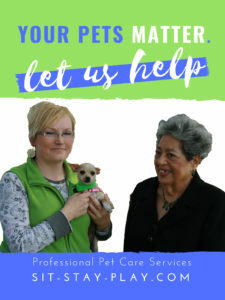 **Keep in mind, in order to keep other pets safe, we’ll have to decline services if your pets have a flea problem (or if they have any contagious disease or anything that can be transferred to humans). 3. Your cat can stay in her own home. She won’t have to live communally with a bunch of other cats. Kitty won’t be forced to contend with barking dogs and vet techs and veterinarians coming and going, which might cause her to stress even more at a veterinarian’s office. Be a hero for you kitty! 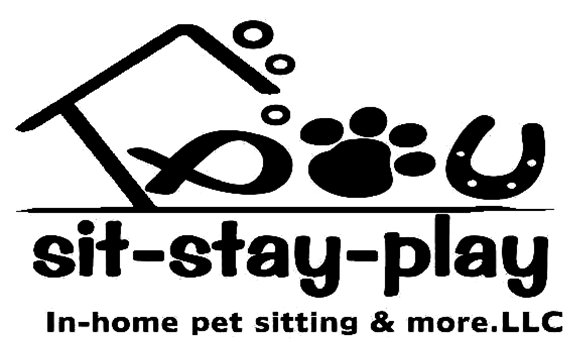 Leave her home while you travel – sit-stay-play.com provides cat sitting services in Muncie, Yorktown and Anderson, Indiana. Request services now! 4. She can stay on her own routine. There’s no sudden upheaval in her life, nothing changes except you’re away from home – which helps reduce stress. If you hire us to be your cat sitter, we schedule our visits so we can love on her, monitor her feeding and make sure is drinking water. We give your cat plenty of love and attention and play with her if she’s a kitty that likes to play. These are more of the awesome benefits of cat sitting! 5. She can use her own litter box. Cats are particular about their potty habits. If you have a cat, you know what I’m taking about. 6. Your cat is in good hands when we’re taking care of her. Our cat sitters love their jobs. They love cats and are in the exact place they want to be. Your cat should have us be her care-taker while you’re away from home. Keep her from stressing out. Be her hero and keep her safe and happy at home! 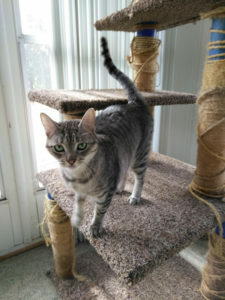 Ready to set up cat sitting services? Scheduling is easy. You’re just 3 steps away from having a professional cat sitter take care of your kitties. #1 – Click here, fill out the short form. #2 – Once we receive the form we’ll call you to talk about your cats and the services you need. #3 – We’ll set up the free consultation and get you started! We’re here to help with your cats. Give us a call at 765-744-5688 or send a message. 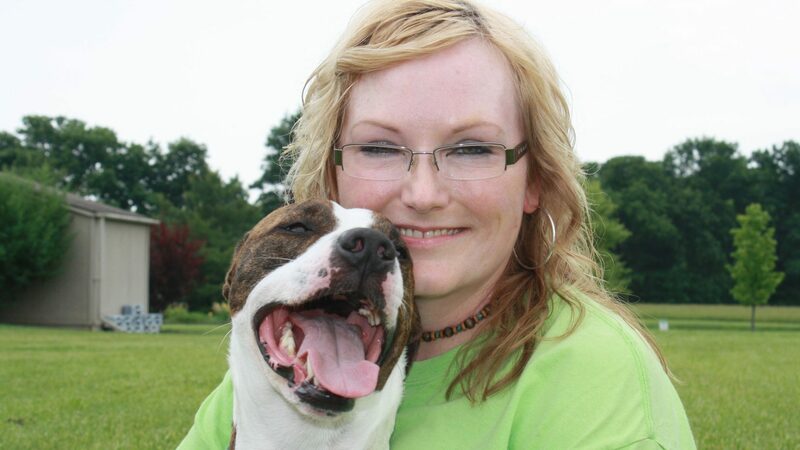 sit-stay-play In-home pet sitting & more.LLC takes care of cats, pet and farm animals in Muncie, Anderson, Yorktown, Daleville, Pendleton, Fishers, Noblesville, Morse Lake, Carmel and Indianapolis, Indiana. We’re available 24/7/365 to help you. P.S. If you have community cats or feral neighborhood cats that you need watched, please contact us as soon as possible. P.P.S. We have outdoor cat shelters we can give to you. Contact us immediately to request one or two!